Yemen, like Afghanistan, has a long reputation as a quagmire for foreign invaders. Saudi Arabia could break its teeth there if the U.S. does not constrain it. Astonishingly, Yemeni events have now conspired to bring about the supposed intervention of some 10 regional powers in one of the most hyped events in the Arabian Peninsula of recent times. Most of this proxy war makes little sense: the threats emanating from Yemen are distorted and exaggerated, the stakes are actually relatively low (except for Yemenis), any imposed settlement is highly elusive, and the costs to those engaged may be high. For the U.S., it can be once again something of a lose-lose situation, where the enemy of my enemy is often also my enemy. The first myth is that this war represents yet a new front on a massive regional Sunni-Shiite struggle. The reality is that a great deal of this struggle is heavily among Yemeni Shiites themselves. Yes, the Houthis, who are now well on the way to seizing leadership of the entire country, are indeed Shiite. They are Zaydi Shiites to be specific (also known as Fivers, believing in five imams) -- who differ significantly from Iranian Shiites (mostly Twelvers). Indeed, among the various schools of Shiism, Zaydism is theologically closest to Sunni Islam. Sunni and Shia have co-existed quite well in Yemen over long centuries. Zaydi imams ruled most of Yemen for hundreds of years as an Imamate, until some 60 years ago when an Arab nationalist revolution displaced them. But the Zaydi Shia remain a major force in the country (some 40 percent) and are dominant in the north. Furthermore, the two most important tribal confederations in the country are also both Zaydi. So was the former president of Yemen for 32 years, Ali Abdullah Saleh (overthrown in the Arab Spring and who now may be secretly supporting the Houthis). The Houthis are simply one regional Zaydi clan who happen to be rebelling for an end to what they saw as discrimination and the corruption of Saleh and his successor -- both Saudi-supported Shiites. Typically the Houthi movement takes the form of a revivalist movement seeking cleaner government and a "purer Zaydism." The second myth is that the Houthis represent the cutting edge of Iranian imperialism in Arabia -- as trumpeted by the Saudis. The Zaydi Shia, including the Houthis, over history have never had a lot to do with Iran. 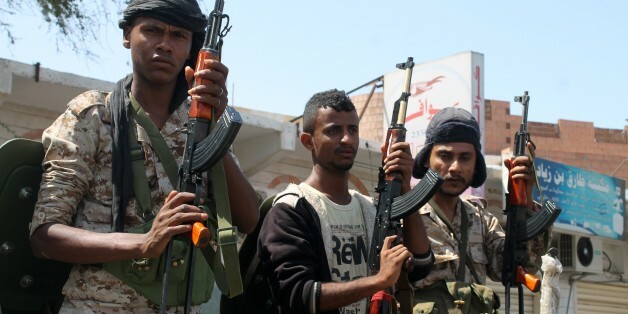 But as internal struggles within Yemen have gone on, some of the Houthis have more recently been happy to take Iranian coin and perhaps some weapons -- just as so many others, both Sunni and Shia, are on the Saudi payroll. The Houthis furthermore hate al-Qaeda and hate the Islamic State. And more recently they have denounced the U.S. as well for its past support to the government in Sanaa that was suppressing the Houthis. The third myth is that Saudi Arabia is fighting to "preserve stability in the Arabian Peninsula." What the Saudis are doing is fighting to maintain overlordship in the Arabian peninsula (an Arabian Monroe Doctrine). A century ago, the Saudis seized traditionally Yemeni areas in the southwest corner of Saudi Arabia and forcibly imposed radical Wahhabi views there. Riyadh has always loathed Yemeni feistiness, independence, its revolutionary politics, and even its experiments with democracy. The Saudis have traditionally sought to buy off as many tribal and political forces as they can in Yemen -- Sunni or Shiite -- to try to maintain their shaky and shifting form of dominance. But now it's about more than just Yemen. In the wake of the Arab Spring, Saudi Arabia has sought to forge a broad counter-revolutionary force to block any further regime change in the Arab world; it brands its new campaign as some kind of pan-Arab Sunni movement designed to face an ostensible "Persian/Shiite threat." With a lot of money and the support of insecure Gulf rulers, the Saudis now seem to have orchestrated some grand Sunni front to invade Yemen to "meet the looming Iranian threat." From Riyadh's perspective, Tehran has supposedly pocketed Iraq, is successfully keeping Assad in power in Syria, threatens Bahrain, stirs oppressed and restive Shia within the Saudi Kingdom, and now bids to control Yemen, thereby "encircling the Peninsula." Ironically, the promising U.S.-Iranian nuclear talks raise further fears in Riyadh that Washington will no longer be a predictable member of the demonize-Iran camp. Much of this paranoia reflects fevered authoritarian Saudi thinking. Never mind that Persians have never in centuries invaded the Arabian Peninsula. Shiite majorities, as in Iraq and Bahrain, have indeed demanded democratic processes that hugely empower them politically. But since the Saudis in recent years have all but declared war against Iran and created a massive anti-Shiite front -- mostly to preserve Arabian and Egyptian autocrats --Tehran has reciprocated; it is happy to try to keep the Saudis off balance in Yemen at quite limited cost. But it is absurd to believe that Tehran is in a position ever to call the political shots in obstreperous Yemen. And the fear that the Houthis in power want, or are even capable of shutting down the Bab al-Mandab entrance to the Red Sea is a fantasy. 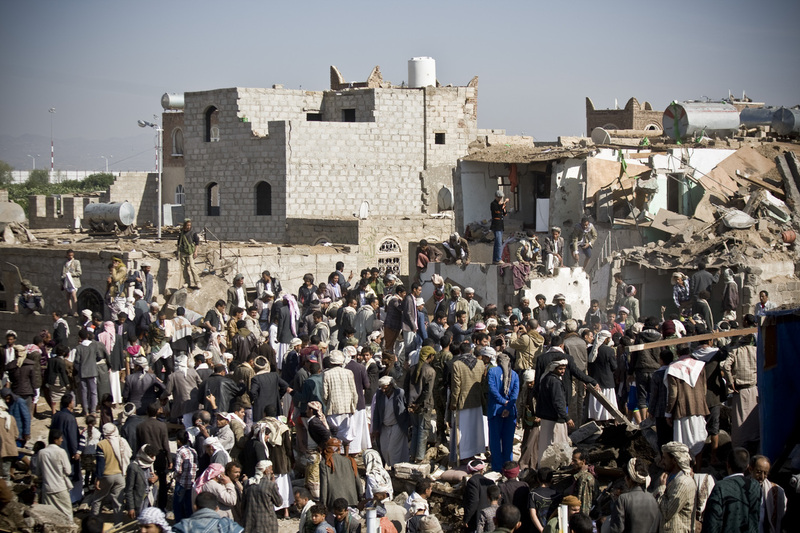 The fourth myth is that the U.S. has support in Yemen. Whatever support it has is extremely limited; its interests and policies in this dirt-poor country over the last decades have focused almost exclusively on counter-terrorism. In the process, the U.S. backed the three-decade dictatorship of Ali Abdullah Saleh and has been conducting dozens of drone strikes in the country that have caused many civilian deaths and stirred much anger. Under the present turmoil, the U.S. has felt compelled to close its embassy and has largely decamped to Riyadh. Washington now helps advise the 10-nation anti-Yemen campaign from Riyadh in what looks increasingly like some grand Arabian armada run amok. The choices for the U.S. are poor. But Houthi dominance in Yemen need not be a disaster in itself. They are blood enemies of the militantly anti-Shiite forces of al-Qaeda and ISIS. Still, the Houthis will be deeply suspicious of U.S. intentions, especially now that the U.S. is working with Yemen's arch-enemy, Saudi Arabia. For that matter, the Houthis are not fanatics and will not be able by themselves to control Yemen unless they work with the broad array of political and religious forces and ideologies that make up the Yemeni mosaic. But we now face a major new factor. The new, ailing Saudi King Salman -- or more precisely his activist, powerful and ambitious son -- now are bidding for a historical transformation of the Kingdom's long-standing cautious and defensive foreign policies. We should remember that the history of Saudi Arabia shows its Wahhabi forces sweeping twice across the Peninsula to the Persian Gulf in some kind of Arabian Manifest Destiny. The Saudis' small Gulf neighbors may not find it so comfortable to support a new, more geopolitically ambitious Riyadh -- with its radical Islamic ideology and its virulently sectarian regional vision. Nor should the U.S. A massive, unnecessary -- and likely failing Saudi effort --to take over Yemen in this counter-revolutionary spirit may augur dangerously for the stability of the Peninsula in the future.